Particularly Oats. All the goodness and bursting with long lasting energy to keep you feeling fuller for longer. 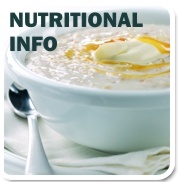 Oats are regarded by health experts as one of the key heart friendly ingredients. Most nuts and seeds are a good source of protein and fibre and are packed full of vitamins and minerals including folate, B vitamins and vitamin E, iron. Nuts and seeds also contain powerful antioxidants that help boost the immune system. Berries are bursting with plant chemicals known as bioflavenoids - powerful, protective antioxidants which are responsible for the well documented "superfoods" status and their bright and beautiful colours. We are passionate about great tasting, healthy food, so we're expanding our use of berries including Strawberries, Blueberries and Cranberries. Berries are valuable sources of minerals, anti-oxidants and other vitamins which help to protect the immune system. Alford Gluten Free Range is made with 100% Pure Scottish Oats. The oats are grown and harvested on our farm in Aberdeenshire and milled in our dedicated water mill, then every batch of oats is gluten free tested to make sure they are safe for coeliacs. Our traditional methods of milling give the oats a wonderful nutty flavour. The addition of gluten free oats to the diet can provide welcomed variety and also provide many proven health benefits. Alford gluten free oatmeal can be used in everyday recipes, from porridge in the morning, to homemade bread, delicious afternoon cakes and muffins and so much more. Put a little skip in your step each day with Alford gluten free oats. It is always recommended that great care is taken is taken when introducing oats to a gluten free diet. You should discuss it your health professional first and introduce oats slowly, sticking with the recommended maximum. And remember we still have our Spoff Range. Spoff gluten free cereals still use natural ingredients such as riceflakes, buckwheat and millet flakes, which are all suitable for people with coeliac disease. Nigel Denby - a consultant dietician to Spoff and accomplished food, nutrition and health writer and broadcaster.